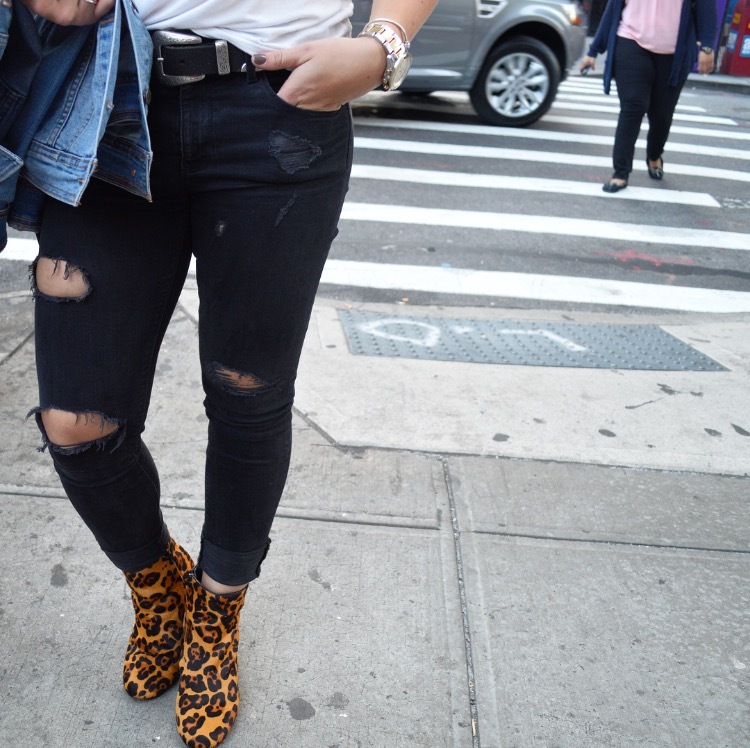 I am so excited to finally show you all my new leopard print booties from Urban Outfitters! So seeing as I current live above an Urban I accidentally (on purpose) seem to always find myself in there...oops! But there are no complaints here because I landed myself these totally fabulous booties for 20% off! I also snagged this belt while I was in there because why not! It's the latest craze and actually, believe it or not, goes for a great price at Urban, only $30.00. This chic city look is perfect for traipsing around, a graphic tee, ripped jeans and a fun pair of booties and you've got yourself a winner! Talk to y'all soon.